Spa Pedicure with luxurious chocolate scrub, mask, oils, and cocoa butter. 60 min. Spa manicure with luxurious chocolate scrub, mask, oils, and cocoa butter. 30 min. Shaping of nails, cuticle clean-up, leg and foot exfoliation, foot mask, warm towels, leg and foot massage, polish of your choice. 45 min. 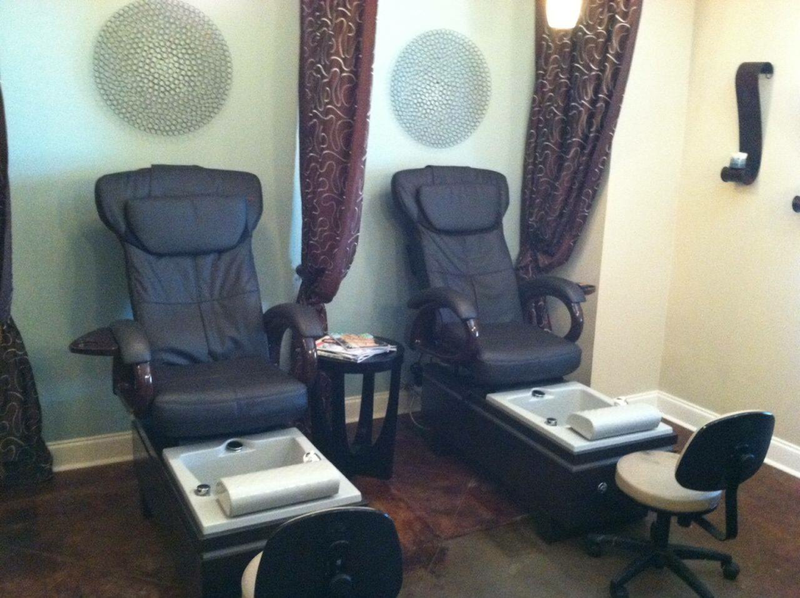 Nails trimmed and filed, cuticle clean-up, light exfoliation, hydrating lotion, & polish of your choice. Just for men! Nails are clipped, filed and cuticles are gently pushed back, leg and foot massage. 45 min. Shaping of nails, cuticle clean-up, exfoliation, hand massage, warm mitts/towels, & polish of your choice. 30 min. Shaping of nails, cuticle clean-up, exfoliation, hand lotion, & polish of your choice. 20 min. ​Shaping of nails, cuticle clean-up, exfoliation, hand lotion, & buff to shine. 20 min.